Any quantity only $1.29 per oz over spot! The stacker lineup of silver bars from Patriot Metals is one of the more popular options for investors seeking silver bullion. Designed to easily and securely stack on top of each other, Patriot Metals Stacker Bars are produced by the private Scottsdale Mint in Arizona. The 1 Kilo Silver Patriot Metals Stacker Bar is available today on Silver.com. Product available in brand-new condition! Ships to you in a protective plastic sleeve courtesy of Scottsdale Mint. Individually numbered bars. IRA approved. Stacker design allows for easy interlocking when stacked. Obverse features the Patriot Metals brand logo. Reverse bears the Scottsdale Mint seal and swirl design. When it comes to purchase silver bullion products as an investment strategy, the increasing number of stacker bars make an attractive option for investors. Patriot Metals Stacker Bars are arguably one of the most popular on the market today. 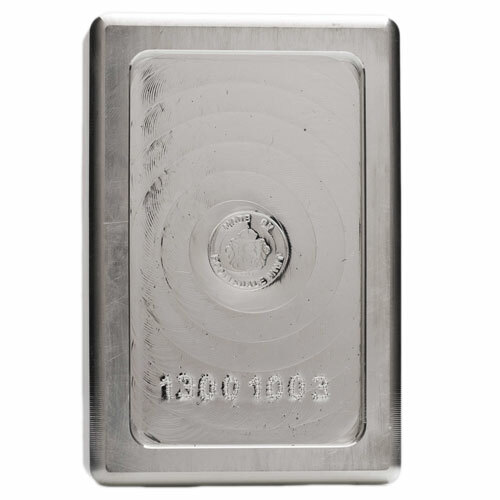 These 1 Kilo Silver Patriot Metals Stacker Bars have raised obverse design fields and sunken reverse design fields. This allows the obverse of one bar to fit neatly inside the reverse field of another, and when combined with the sharp edges of the bars, makes for a sturdy, easy stacking of your silver bullion. On the obverse face of the Patriot Metals bar you’ll find the brand logo for Patriot. This includes a large star shape, with the figure of an eagle inset within it. The eagle’s widespread wings form the horizontal line of the star and two of its outermost points. There are 12 stars, in four groups of three, surrounding the larger star for a total of 13. 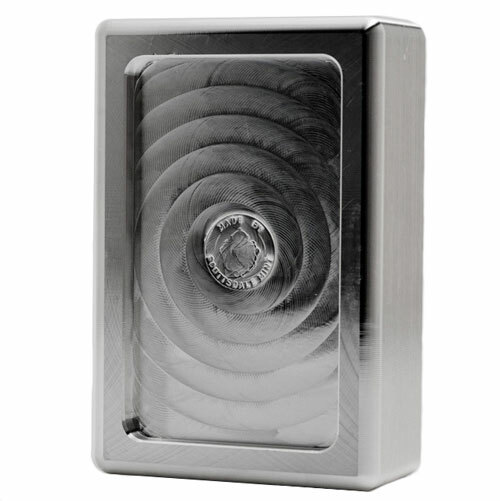 The reverse face of the 1 Kilo Silver Patriot Metals Stacker Bar bears a swirl pattern, with the Scottsdale Mint seal in the center. Around the lion-head emblem of the mint are the words “Made by Scottsdale Mint,” and the bar’s individual serial number is engraved along the bottom of the reverse. Scottsdale Mint obtained the rights to the Patriot Metals brand in 2012 from Materion, which had purchased Patriot Metals from Academy Corporation in 2011. 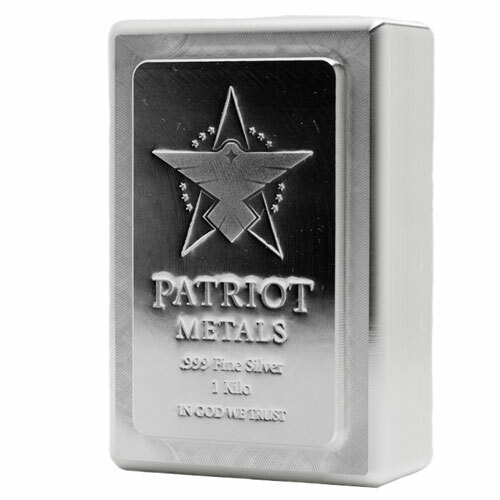 Patriot Metals bars are not sold directly to the public by Scottsdale Mint, but rather, are available only through authorized dealers such as Silver.com. Please direct any questions about Patriot Metals Stacker Bars to Silver.com associates at 888-989-7223, or connect with us online using our live chat and email features.